The South African rapper wants you all to know he can wear whatever he wants and there’s nothing anyone can do about it. 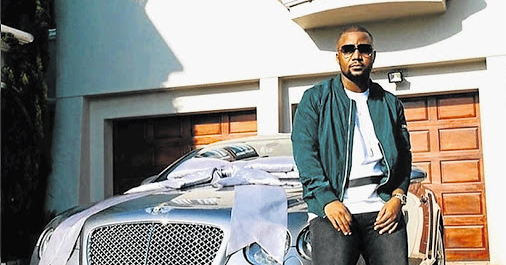 Cassper Nyovest came under fire recently after he reportedly was spotted wearing a pair of Mr Price jeans, while posing beside his Bentley. Unimpressed by his fashion taste, a fan called him out, saying someone of Cassper’s calibre should no longer wear certain brands. “I’m talking about a lifestyle here. Talk to me if you know high end living! If you wear Ice, you can’t drive a POLO. It’s just a lifestyle,” the Twitter user added in later tweets. 0 Response to "Cassper Nyovest Defends Wearing Cheap Jeans, Says His Critics are Envious of His Wealth"